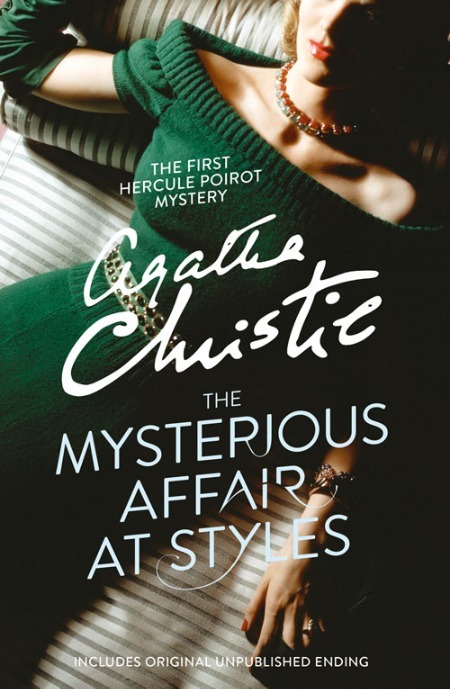 Afterwords: The Mysterious Affair at Styles by Agatha Christie | My First Christie Read! The Mysterious Affair at Styles by Agatha Christie | My First Christie Read! Agatha Christie’s first ever murder mystery. Includes an introduction by Christie archivist John Curran, and the original unpublished courtroom chapter as an alternate ending to the novel. After the Great War, life can never be the same again. Wounds need healing, and the horror of violent death banished into memory. The first Hercule Poirot mystery, now published with a previously deleted chapter and introduced by Agatha Christie expert Dr John Curran. So, obviously, there is a reason Christie is considered a mother effing QUEEN of mystery. She manages to make everyone a possible suspect to her reader, so subsequently... no one is. I have suspected--out loud and in my mind--so many people during the course of this novel that by the end of it, I was both shocked and vindicated by the outcome. If you're looking for a great mystery with a quirky detective at the helm, an interesting cast of supporting characters and fun narration, definitely pick this one up! Speaking of which... the narration kind of bothered me. Don't get me wrong, it's great. Hastings is a fun character to be experiencing, as he is prideful, condescending, and yet well-meaning and friendly. He thinks he's doing and thinking the right things, even when he's not quite there. By his own admission, on the very first page of the novel, Hastings is writing this account on request of Poirot and the family. That means these people, who are spoken about very candidly in his account, will read this novel. That made the whole thing rather odd. Think about it. Let's say you go on a trip with your friends, and they ask you to write about your adventures. Would you admit to thinking those same friends are stupid or lack conversational skills? Would you share how you fancied their wives and offered marriage to their charges? Would you speak of how much better your intelligence, or wit, or cleverness is compared to theirs? Or will you soften all those things? Erase others. All because you know they will read this. This is not a story that will be locked in a drawer, but published or given to these very people. And what about yourself? Would you write yourself to be the foolish way you were, with your condescending judgment? Would you have no fear of people seeing your flaws and therefore smooth them over; make yourself appear less dense, a little less dumb and prone to jumping to conclusions (since, by the time you are writing this, you already know how things have ended). It's unrealistic. Hastings would not have needed to change what had happened but simply what he thought as it was happening in order to both make himself look better (because he comes across as extremely foolish, if well-meaning, throughout the story) AND keep his relationships stable (if I was one of his friends I would have thrown a pitcher in his face for some of the things he had written). It's such a silly thing to be hung up on, and if not for that one small sentence about why he's writing all of this it would have been nothing. I have never thought before about why someone is narrating a story or who is meant to read it in his or her world, since a narration is usually just that; a narration. A means to tell the story, basically. But with one short line, those lines were blurred, and I could not be content to just accept it as it is. I could not just accept his candid, honest account. Instead, I was confused by why he was giving it like that. Am I the only one in this? Am I crazy?? And then, I felt like the ending fell a little short. I loved the big reveal; the wham bam and shock of it. But I was also left with far too many questions for it to be any form of satisfying? SPOILER As Poirot mentions himself; there has to be motive for murder. Why did Evie and Alfred kill her? How long did they plan it? Was Evie such a great actress, to be able to easily cry over the death she has planned herself or was a part of her genuinely sad after so many years with the woman? Why did no one question her hatred of her cousin throughout the book? Like, I literally forgot they were cousins because it was a throwaway comment at the very beginning and then it wasn't touched upon again. And this is something Christie could have used, like letting Evie say something like "I know he killed her; He's my cousin" to both bolster Evie's claims and give the reader a clue. And then... why? Why did Evie hate her mistress? Why did she wait ten years to call her cousin and do this? Still, an undeniably strong start to what would become Christie's incredible career, and I am looking forward to both reading more from her and hoping some of the more open-ended and disjointed side plots from this one (ahemahemthespyahemahem) will be revisited in the future!